• PLOT SUMMARY: 3D COVER. 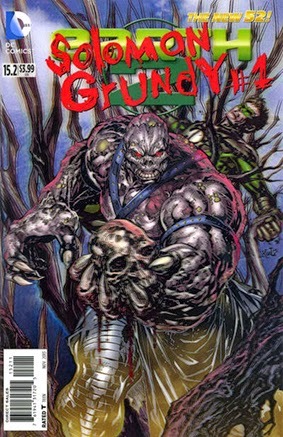 Grundy hates green. He hates life, and he hates Green Lantern most of all! So what made Grundy this way? Find out in the secret origin of Solomon Grundy! (W) Matt Kindt (A) Aaron Lopresti (CA) Ken Lashley.